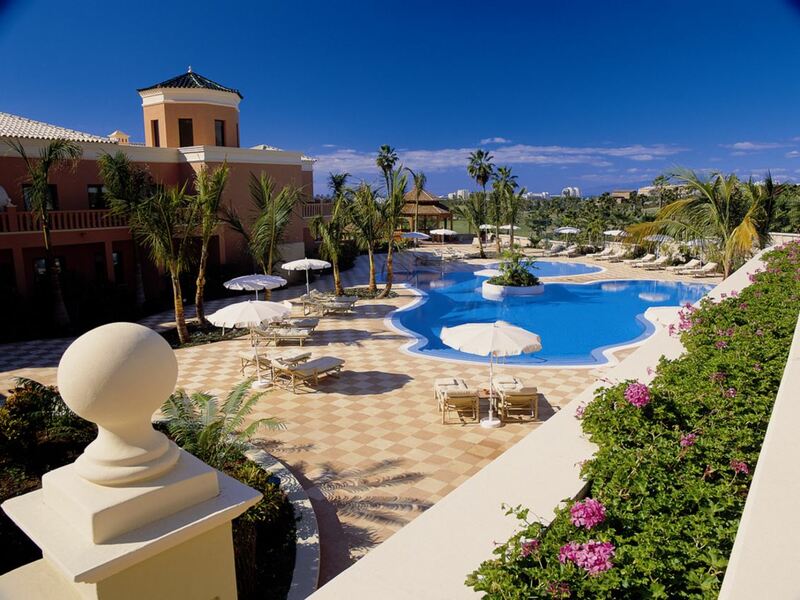 Hotel Las Madrigueras is Tenerife’s favorite hotel and is among the Top 25 in Spain. This has just certified TripAdvisor, the most important Internet platform specialized in collecting and disseminating the opinions of users of tourism services around the world, valuations based on the experiences of individuals, tour operators and travel agencies. Las Madrigueras 5 star hotel, located near the crossroads of access to Los Cristianos (Arona), is a golf themed establishment that since its opening, in 2002, has marked as a priority the quality of service above the number of customers. That is the main charm of this three-storey, colonial-style boutique hotel owned by hotel entrepreneur Santiago Puig, the great artisan of Playa de Las Americas: spacious open spaces and all the comforts of a large five-star resort for a just 57 rooms (44 Superior Double rooms and 13 Suites, including two royal ones). And it is that, as its slogan says, the real luxury is in the small details. 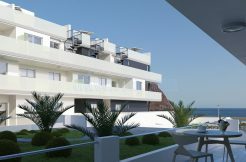 Its great attraction is the Las Americas golf course, towards which point the terraces of all the rooms. Over 6,000 square meters of impeccable green dotted with lush gardens and exotic wildlife. Unbeatable conditions, which have to join the climatological, to enjoy its 18 holes (Par 72), which customers, if they wish, do not even access on foot: a buggy awaits them in the garage under their rooms. In addition to the pool area, where the chirping of the birds is the accompanying musical thread in this space of abundant vegetation with palm trees, cica and giant strelitzias, the complex offers all imaginable comforts: spa service, gym, Turkish bath, sauna, temple of showers, hairdresser and reservations for other golf courses of the Island. Since last November, Las Madrigueras has become part of the hotel club for adults (5 star hotels in Tenerife adults only – only for adults from 16 years onwards). Gastronomy is a priority. Everything is a la carte. Even breakfast, where the customer also has the option to supplement it with a small buffet. At the head of the Bogey cookers is Jesús González, one of the best creative chefs from Tenerife, endorsed by a sun from the prestigious Repsol guide, which offers classic cuisine and signature cuisine. You can also enjoy a light lunch at the Belle Vue restaurant-terrace or sip a cocktail at the piano bar or in the billiard room. With these services, and the treatment of its 68 employees (there are more workers than rooms), it is not surprising that this is one of the hotels on the island with the highest number of repeat customers. “Most of them are of high purchasing power, people of a certain age who come mainly from Germany, England and Switzerland; Some come for a week and others come for a month; Many of them return, and there are those who have come up to 20 times, “says Wolfgang S. Pollinger, general manager of Las Madrigueras. “Here they find what they are looking for, which is tranquility, good service, personalized service and, above all, golf; Almost all have breakfast at 8, and at 9 already are in the field, “he explains. “On this island you can play golf all year round. Also in summer, unlike many other destinations. Nowhere in the world can it be made by heat and humidity. The weather in those months accompanies, with a maximum temperature of 30 degrees, which does not prevent play, especially at first hour of the day or mid-afternoon, “says the director general. Such conditions should, in his opinion, attract to the Islands more golf tourism, since between June and August, the occupation suffers somewhat. The rest of the year is high season at Hotel Las Madrigueras, where getting lodging is practically an impossible mission. In its extensive catalog of charms there is the tranquility that is breathed in its facilities. Even without a free room, silence presides over all its corners. Stillness dominates everything. Wolfgang S. Pollinger, 65, director of the hotel since 2007, breaks stereotypes. In addition to being the maximum responsible of the establishment, it directs the commercial department and is, besides, public relations. In the mornings he visits his clients every day at breakfast time, accompanies his guests to the hospital when an emergency occurs and does so at the airport if a customer has lost his luggage. “The attention with our guests is the most important thing. Here, the receptionists are not only to give the keys to the client, but to listen to their comments, their stories and help them in everything; There is always time for that, because that is the priority, “he remarks. 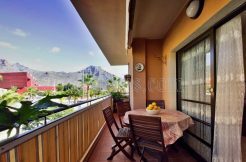 It recognizes that the Canary Islands and Tenerife, especially, have improved a lot in recent years as a tourist destination and that should be the way to go. “The key is to give the highest quality possible in the service, whether a hotel of three, four or five stars,” he concludes.